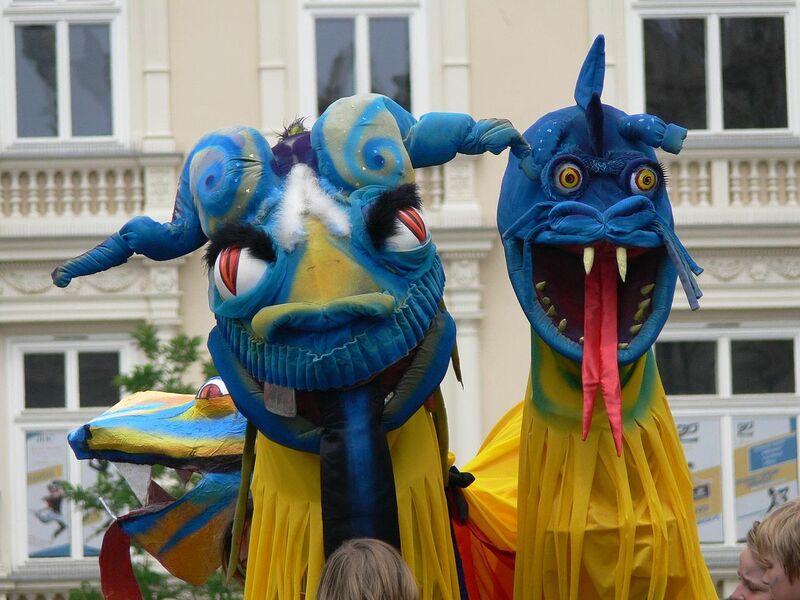 Beginning today and going through tomorrow, Sunday at 7 PM, colorful dragons are igniting Krakow’s streets. The spectacle’s topic is The Dragons of the Mediterranean Sea. They will parade tonight at 10 pm near Smocza Jama by Wawel Castle and Sunday at noon through the Old Town. The whole event includes a family picnic, longboard and flyboard contests, a Capoiera show. and the main attraction – nearly 25-metre long and 15-metre tall dragons, animated by the actors of the Groteska Theatre. The show will be accompanied by pyrotechnical and light effects, water curtains, and music by Hans Zimmer, Goran Bregovic, and Maurice Ravel. The director of the Dragon Parade is the president of Groteska Theatre, Adolf Weltschek, He first introduced the event in year 2000 and since then he has organized it every year, to the delight of the youngest. Entrance is completely free of charge (except the VIP lounge).